Dr. Fleit earned his bachelor’s degree from Bowdoin College in Brunswick, Maine and his medical degree from Drexel University College of Medicine in Philadelphia, PA. While in medical school he received several awards for high achievement including membership in the prestigious Alpha Omega Alpha honor medical society. 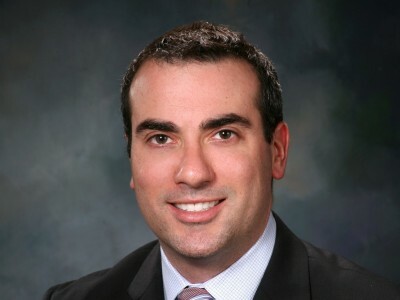 He completed his orthopedic surgery residency at the University of Connecticut Health Center in Farmington, CT. Dr. Fleit received additional training in hand and upper extremity surgery at the Cleveland Combined Hand Surgery Fellowship. This fellowship included training at both the Cleveland Clinic, an international referral center and Metrohealth Medical Center, a world-class level one trauma hospital. Dr. Fleit treats patients of all ages with problems of the upper extremity. He has a special interest in occupational and sports hand injuries, nerve problems, thumb arthritis, upper extremity trauma, all forms of upper extremity arthritis, elbow problems and arthroscopy of the upper extremity. Dr Fleit has privileges at Wentworth-Douglass Hospital in Dover, Frisbie Memorial Hospital in Rochester, Wentworth Surgery Center in Somersworth, Stratham Ambulatory Surgery Center in Stratham, and Northeast Surgical Care in Newington. Did you know? Dr. Fleit played lacrosse at Bowdoin College in Brunswick, ME.